Ships tomorrow if you order in the next 17 hours 26 minutes. 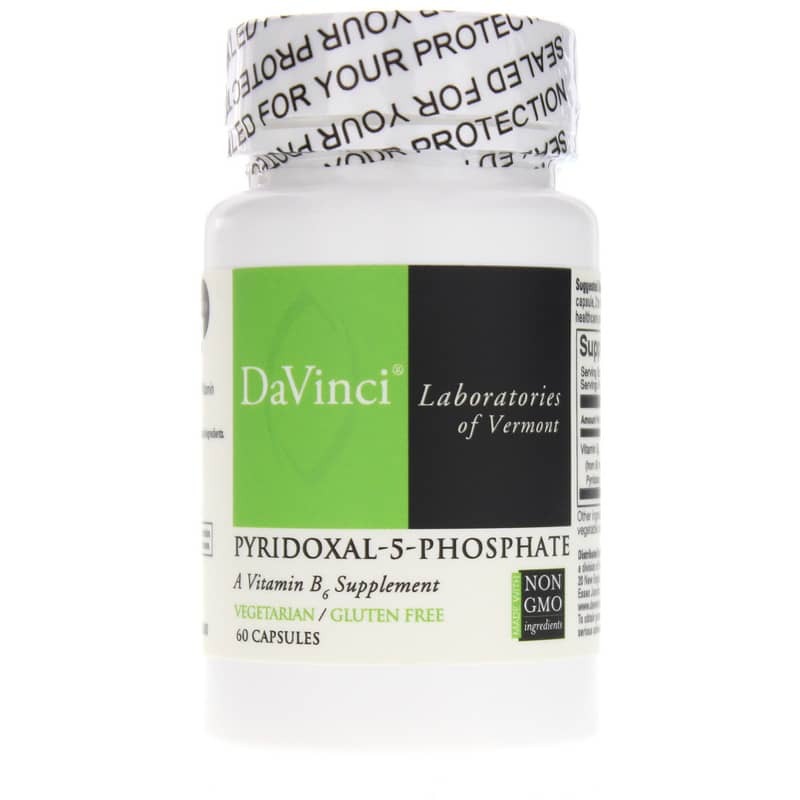 Pyridoxal -5-Phosphate (P5P) from DaVinci Labs is a natural dietary supplement that may help support immune system and brain health, as well as B12 absorption. P5P contains the active form of vitamin B6, meaning it does not require activation by your liver. Like all the B vitamins, vitamin B6 helps transform food into the energy you require during the day. 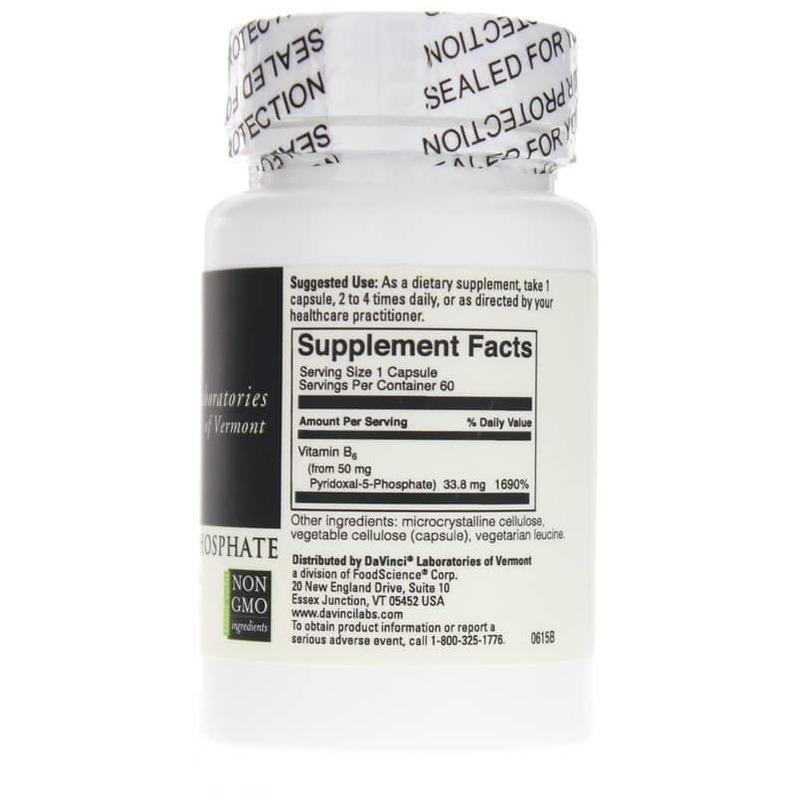 B-complex vitamins also support liver, eye and nervous system function, as well as healthy skin and hair. And together with vitaminsB9 and B12, B6 promotes heart health and immunity. But beyond the qualities it shares with other B vitamins, vitamin B6 plays a role in brain development and in managing the hormones involved in sleeping patterns and mood. Vitamin B6 is also involved in more bodily functions than almost any other single nutrient. It serves as a coenzyme for more than 100 enzymes. Antidepressants, estrogen therapy and use of oral contraceptives reduce the levels of vitamin B6 in your body. To use as a dietary supplement, adults can take one capsule, two to four times daily, or as directed by your healthcare practitioner. 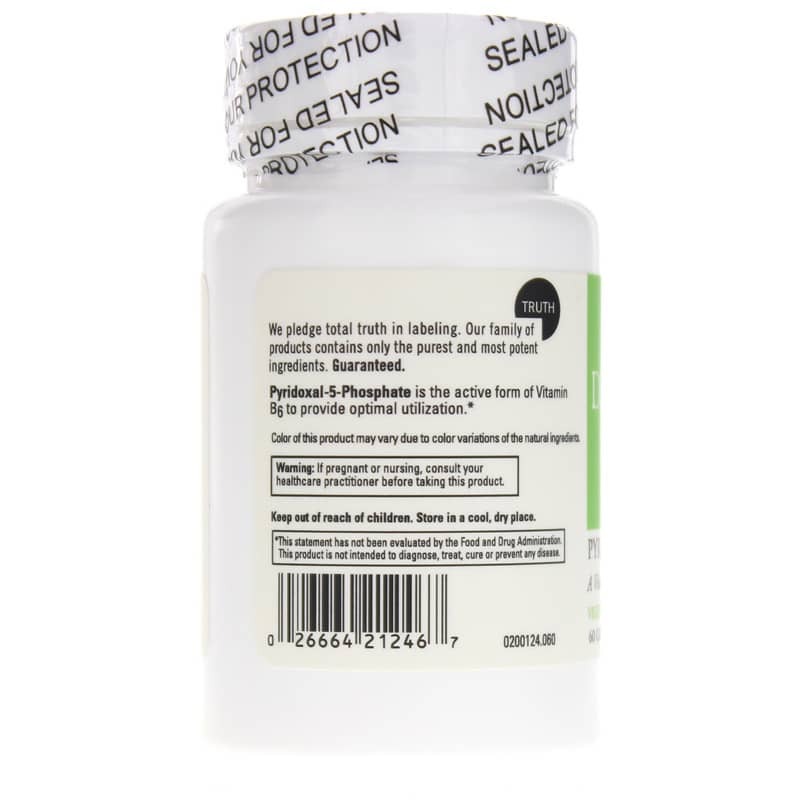 Each vegetarian capsule contains 50mg of pyridoxal- 5-phosphate. Contains NO: GMOs, gluten. Vegetarian. Adults: As a dietary supplement, take 1 capsule, 2 to 4 times daily, or as directed by your healthcare practitioner.